What are the best RSS reader apps to use in 2019? 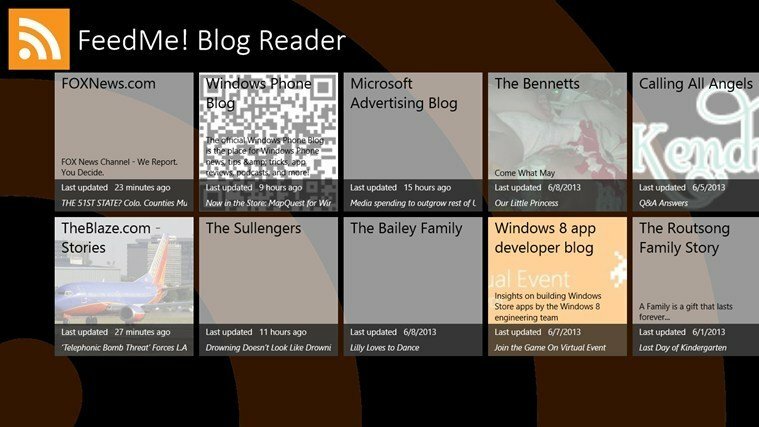 These days being kept up to date with news and updates is easier than ever thanks to the concept of RSS. RSS stands for Rich Site Summary and represents a family of web feed formats used to relay frequently updated websites like blogs, news websites and so on. 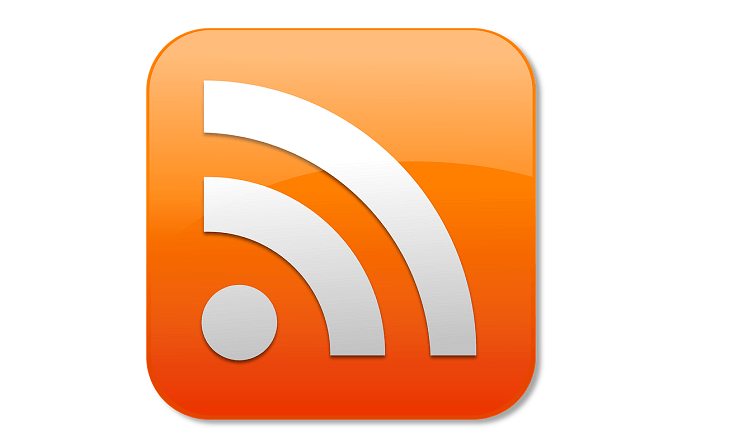 Thanks to RSS feeds users don’t have to check the websites on a regular basis or subscribe to newsletters. 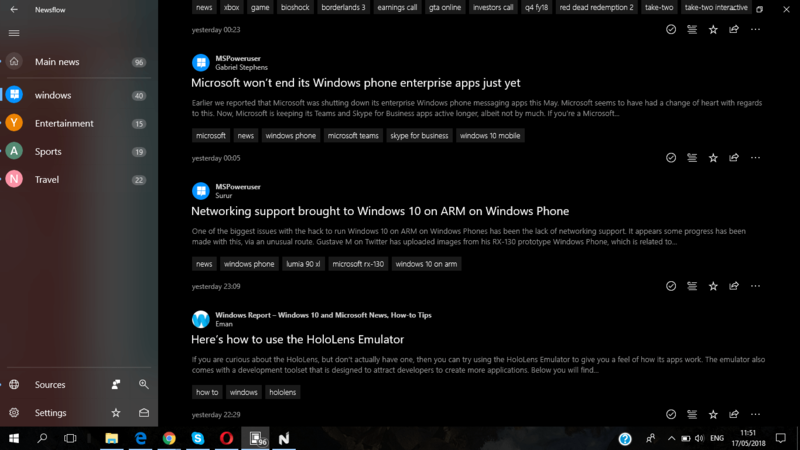 And people who have installed Windows 10, Windows 8 or Windows RT on their machines have the opportunity to use some very useful apps that will manage the RSS feeds for all the sites users are interested in following. This app comes with a straight-forward interface, easy-to-use, and good space between elements to offer just the smooth reading experience. You can easily setup the categories that you are interested in and then add your favorite sources to feed with the latest news. When you add an RSS feed, there are enough options to customize it on your preferences. Among its plethora of features, you can read articles using extended readability without any need to open them in the web browser and watch YouTube and HTML videos inside the app. 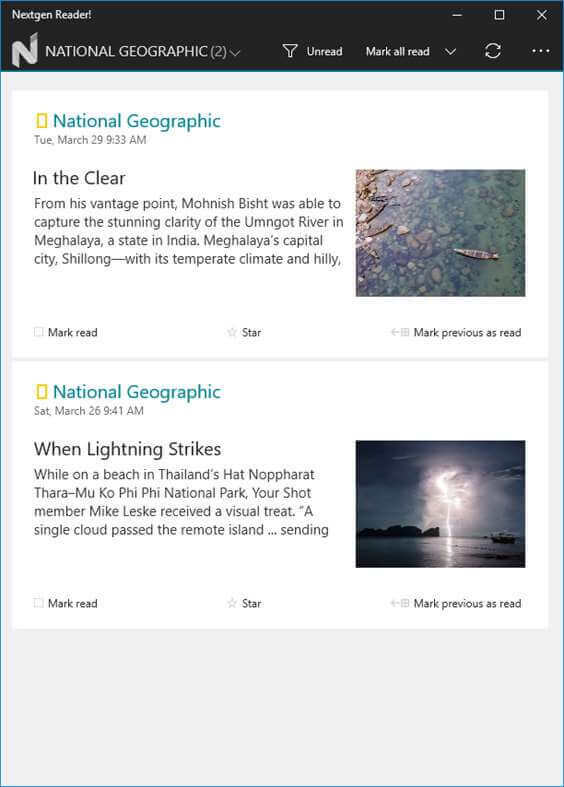 Advertised as the fastest RSS reader app for Windows 8, Windows 10 and Windows Phone, Nextgen Reader categorizes your feeds and keeps them neatly packaged in categories such as Sports, News, Technology. From there you can access the stories which you find to be more appealing. The interface is designed to fit the touchscreen environment perfectly and is customizable. Therefore you can choose the appropriate colors which will allow you to construct a pleasant reading experience. 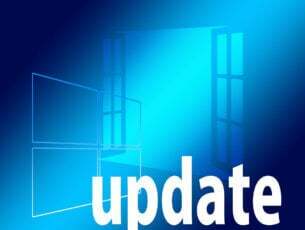 Update: With the latest versions this app has upgraded to UWP, improved performance and many bug fixes. The theme is customizable with multiple color accents on light or dark mode. It now has a beautiful grid layout for your touch-screen device or 2-in-1s. 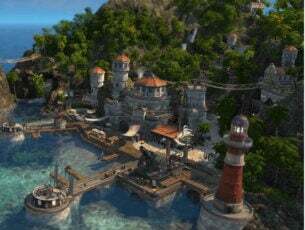 Above all, it uses a super fast sync engine with offline support. 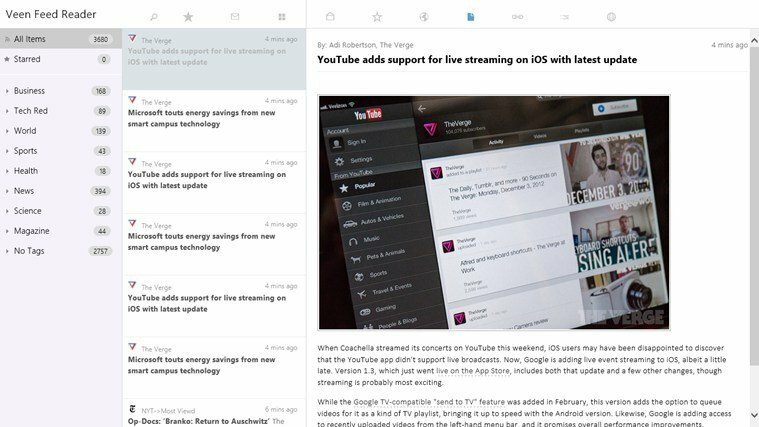 The Veen Feed Reader offers a pretty similar interface to Nextgen Reader. The feeds are all aptly organized in different categories ranging from Health and Science to Business and Technology. However, this app will feature an integrated “search charm” that can allow users to look for the things they find most interesting. The Import and Export of OPML files is also possible within the app. Update: Unfortunately this app is currently unavailable on Microsoft Store. We’ll keep this post updated with the latest release. This is not the Google-produced app, but nevertheless, the news aggregator is provided curtsey of Google Inc RSS feeds. It will gather the most recent information from tons of relevant publications and will display them in a “charm-like” interface where you can see the title and a quick abstract of the story plus a photograph. There’s also categories to choose from: Top Stories, World, Business, Technology but they are displayed on the top of the screen rather than on the left as we have seen in the previous apps. The FeedMe! app features a fun interface that features formatted columns which allow you swipe through the newest pieces of information. Have a bunch of friends who keep blogs and want to be the first to know when they posted something? With FeedMe! you can add RSS and Atom feed in order to do just that. The process is very easy, just copy/paste the RSS/Atom in the Add new pop up and that’s it. 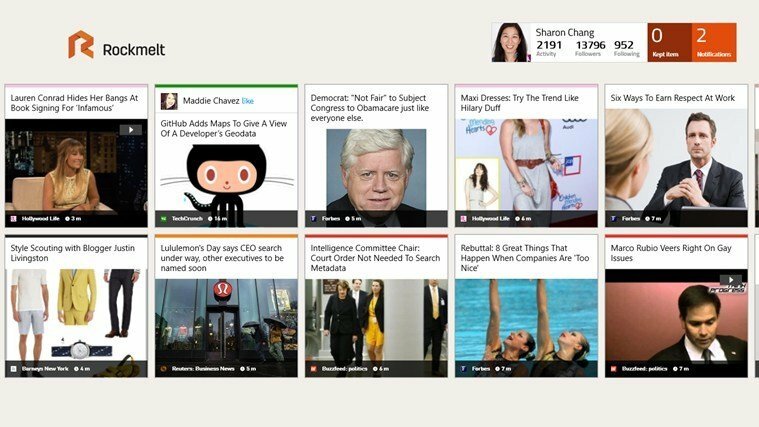 Add the RSS of popular news sites as well such as CNN, Fox News and The Blaze. For those who need a little fun in their lives and something interesting to read Rockmelt is the perfect app to have around the computer. It features an attractive interface made up of tiles which feature exciting, cute and viral post found all around the web. Swiping on the top will produce a menu featuring tons of entertaining categories like Style, Cute, Foodie or Shopping for you to delight yourself with. Click on one of them and explore. 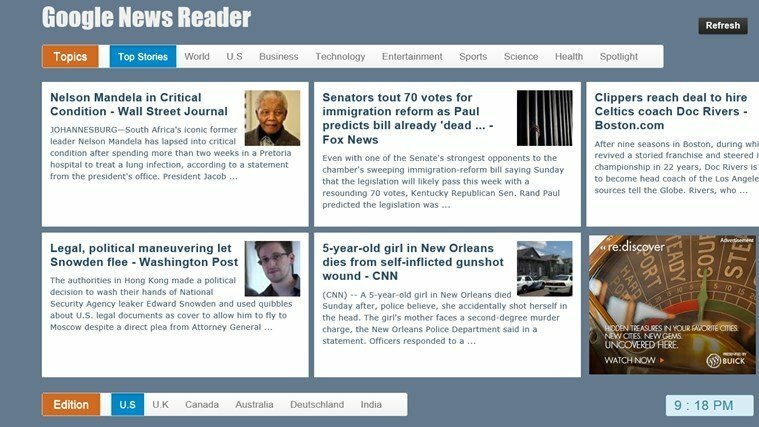 Google Reader for Windows 8, Windows 10: what happened? One of the most well-known RSS readers used to be Google Reader, but the application got shut down. Why did Google decide to pull the plug on everybody’s favorite news provider? According to official information provided by the company’s CEO, Google is trying to consolidate its services and in the process aiming to concentrate on what’s really important. The strategy included bringing together services like Reader and Picasa under the Google+ plus umbrella and subsequently a number of shutdowns which includes iGoogle and the Reader. 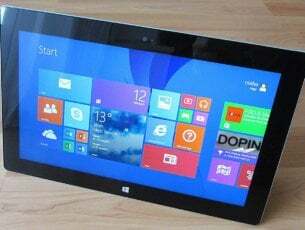 Windows 8, Windows 10 and Windows RT users were left out like everyone else, in need of looking for an alternative. Here are 5 of them, we found very useful. Editor’s Note: This post was originally published in July 2013 and has been completely revamped and updated for freshness, accuracy, and comprehensiveness.